If each piece of candy corn sold in a year by Brach’s — the top manufacturer of the waxy confection — were laid end to end, they would circle the Earth 4.25 times. If all the players on an NFL team were laid end to end, they’d stretch from the back of one end zone to the opposite goal line. That the players would almost line the entire field struck me as an amazing coincidence. And it got me to thinking — might this be true for other sports? Not one to let sleeping dogs — or professional athletes — lie, I decided to investigate. Based on that research, here’s a simple, one-question quiz for you. Which of the following comparisons is the most accurate? If all of the players on an NHL (hockey) roster were laid end to end, they would reach from one end of the rink to the other. If all of the players on an NBA (basketball) roster were laid end to end, they would reach from one end of the court to the other. If all of the players on an NFL (football) roster were laid end to end, they would reach from one end line to the other. If all of the players on an MLB (baseball) roster were laid end to end, they would reach from home plate to second base. If all of the players on an MLS (soccer) roster were laid end to end, they would reach from one end to the other. 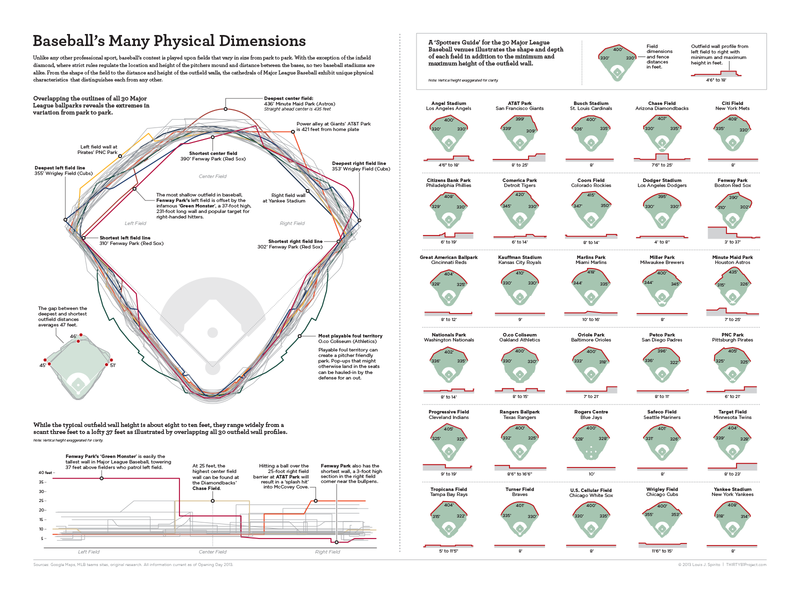 Every professional baseball stadium has different measurements. Fenway Park (Boston) is a mere 310′ from home plate to the right field wall, whereas Comerica Park (Chicago) extends 420′ from home plate to straightaway center. Consequently, the distance from second to home is used in the fourth answer choice, because it’s the same for every field. To my surprise, MLS stadiums are not uniform in length and width. Who knew? The length of the field must be at least 100 meters, at most 110 meters, and anywhere in between is fine. Assume an average length of 105 meters for the fifth answer choice. Before you read much further, let me say how much fun I’ve had discussing this question around the dinner table and at the local pub. In spite of hard facts, there is resolute disagreement about player height, roster size, and field dimensions. And the shocking (or should I say predictable?) results raise an eyebrow every time. I only mention that to persuade you to think about the question, alone or with some friends, before continuing. Okay, you’ve cogitated? Then let’s roll. In researching the answer to the question, I was struck by how close the total length of all players on the roster is to the length of the field, court, or rink. Coincidence? Of course, a larger field requires more players, so perhaps this is the evolution of roster size that one would expect. To answer the question, you need to know the height of an average player, the number of players on a roster, and the dimensions of professional venues. All of that data can be found in a matter of minutes with an online search, but I’ll save you the trouble. As it turns out, the MLS comparison is the least accurate. The combined heights of soccer players is only 48% of the length of their field. The NHL comparison is a little better, with players’ heights extending 70% of the length of the field. But the NFL and MLB are both very close, with the players’ heights equalling 91% of the field length and 110% of the distance from home to second, respectively. Astoundingly, if the players on an NBA team were laid end to end, they’d come just 22 inches short of covering the entire court, accounting for a miraculous 98% of the length! So there you have it. D, final answer. One last thought about this. I play ultimate frisbee, a sport with a field that measures 120 yards (360 feet). For tournaments, our rosters are capped at 29 players, and I suspect my amateur teammates are, on average, shorter than most professional athletes. If we assume a height of 5’10” for a typical frisbee player, then the combined height is 172 feet. That puts us in the realm of soccer, with our combined length covering just 48% of the field. If, like me, you play a sport that isn’t one of the Big 5 in the U.S., I’d love to hear about your sport’s field and roster size, and how it ranks with the comparisons above. 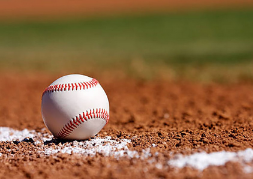 Today is Opening Day in Major League Baseball, and 13 games will be played today. It’s also Square Root Day, because the date 4/4/16 transforms to 4 × 4 = 16. The data set contains 4,906 elements. It’s based on a real-world phenomenon from 2015. 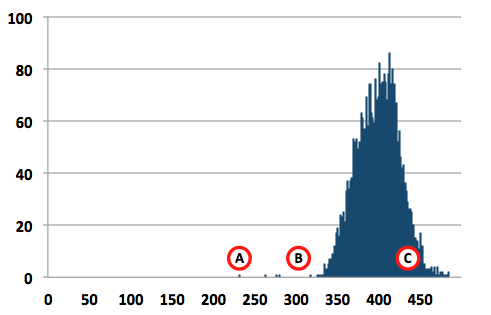 The special points marked by A, B, and C won’t help you identify the data set, but they will be discussed below. 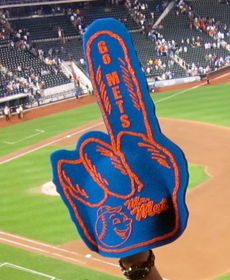 Point A on the graph represents Ruben Tejada’s 231-foot inside-the-park home run on September 2, 2015. Point B on the graph represents the shortest distance to the wall in any Major League Baseball park — a mere 302 feet to the right field fence at Boston’s Fenway Park. Point C represents the longest distance to a Major League wall — a preposterous 436 feet to the deepest part of center field at Minute Maid Park in Houston. Here are some more baseball-related trivia you can use to impress your friends at a cocktail party or math department mixer. Who holds the record for most inside-the-park home runs in MLB history? Which stadium has the tallest wall? The left field fence at Fenway Park (a.k.a., the “Green Monster”) is 37 feet tall. Which stadium has the shortest wall? This honor also belongs to Fenway Park, whose right field wall is only 3 feet tall. Although only 1 in 446 home runs was an inside-the-park home run in 2015, throughout all of MLB history, inside-the-park home runs have represented 1 in ____ home runs. Name all the ways to get on first base without getting a hit. This is a topic of much debate, and conversations about it have taken me and my friends at the local pub well into the wee hours of the morning. I have variously heard that there are 8, 9, 11, and 23 different ways to get on base without getting a hit. I think there are 8; below is my list. What is the fewest games a team can win and still make the playoffs? 39. The five teams in a division play 19 games against each of the other four teams in their division. Assume that each of those teams lose all of the 86 games against teams not in their division. Then they could finish with 39, 38, 38, 38, and 37 wins, respectively, and the team with 39 wins would make the playoffs by winning the division. Bases loaded in the bottom of the ninth of a scoreless game, and the batter hits a triple. What’s the final score of the game? 1-0. By rule, the game ends when the first player touches home plate. In a 9-inning game, the visiting team scores 1 run per inning, and the home team scores 2 runs per inning. What is the final score? 16-9. The home team would not bat in the bottom of the ninth, since they were leading. Yet few things are as dumb as the following game, which some friends and I play at Nationals Park. To start, everyone puts in a $1 ante. The first gambler then adds another $1 to the cup. If the player batting gets a hit, that gambler gets all the money in the cup. If the player batting does not get a hit, that gambler passes the cup to the second person. The second gambler then adds $2 to the cup. Again, that gambler gets the money if the player batting gets a hit, or passes the cup to the next gambler if the player batting does not get a hit. This continues, with the next gambler adding double what the previous gambler added, until there’s a hit. Because of exponential growth, it doesn’t take long for this game to exceed most people’s comfort level. At a recent game, we had gone through five batters without a hit when the cup was passed to Dave. He gladly added $32, but then passed the cup to Joe when the batter struck out. Joe was reluctant to add $64, but like the rest of us, he was certain that the paucity of hits couldn’t continue. It did, however, and he passed the cup to me. Now that the cup was requesting a three-digit donation, this was getting serious. Most of my friends don’t carry $128 to a baseball game, and even fewer of them are willing to put it in a betting cup. Dave looked at me. “You in?” he asked. It occurred to me that 52.9% of the money now in the cup had come from my wallet. That made it extra hard to pass the cup to Adam when the batter struck out. So the cup went back to Dave, begging for $256 more. “If you’re in, I’m in,” he said to me. “Trust me that I’m good for it?” he asked. I nodded my head to let him know that I did. When Dave handed the cup to Joe after the next batter flew out, it was Dave’s money that now accounted for 56.3% of the pot. Joe just passed the cup directly to me. “I’m out, too,” he said. Judgment is the better part of valor. But no one has ever accused me of being valiant. If I put in $512 and there’s a hit, I thought, I’ll win $377. But if not, I’ll be passing a cup to Dave that has $649 of my money. “I’m in,” I said, surprising even myself. Dave looked at me with equal parts disbelief and dismay… amazed that I had pulled the trigger, unsure what he would do if the cup came to him, stunned that we had gotten to this point. Dave looked at the cup. He looked at me. He looked back at the cup. After several long seconds, he looked at me again. “Split it?” he asked. I ignored Joe, because I realized I now had an exit strategy. “Are you suggesting 50/50?” I asked Dave. So in the end, I won $33, Dave won $51, and Adam and Joe were disconsolate over what had just transpired. There had been a streak of 10 batters without a hit (one of the batters had walked, but that doesn’t count as a hit, so our silly game continued), and the pot had grown to $1,027. It would have climbed to $2,051 if Dave had continued. That might only be a drop in the bucket for the Koch brothers, but it’s a sizable amount for a math educator. The hitless streak made us wonder what game in baseball history would have made us dig deepest into our pockets. The all-time winner would have been a game on May 2, 1917, between the Cincinnati Reds and the Chicago Cubs, when Fred Toney and Hippo Vaughn each threw no-hitters through nine innings. In the top of the 10th, Vaughn got one out before giving up the first hit of the game… so that’s at least 55 batters without a hit. It’s hard to find play-by-play data for games from 1917, but the box score shows that there were 2 walks in the game. If both of them happened before the first hit, that’d increase the pot to a staggering 257 + 3 = $144,115,188,075,855,874. That’s 144 quadrillion, for those of you who, like me, go cross-eyed trying to read such large numbers. Why do you dislike the number 144? Why do you dislike the number 144 quadrillion? Perhaps most interesting to me, though, was the percent of the cup contributed by the person currently holding the cup. A tabulation of the possibilities is shown below. This scenario assumes four gamblers with no one dropping out. The rows highlighted in yellow (rounds 4n – 3) indicate when the first gambler is holding the cup. Likewise, the second gambler’s turns occur in rows 4n – 2, the third gambler’s turns occur in rows 4n – 1, and the fourth gambler’s turns occur in rows 4n. 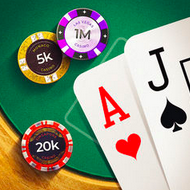 The Contribution is the amount that a gambler adds to the cup in that round. The Gambler Total is the combined amount contributed by that gambler so far. For instance, the “Gambler Total” in Row 13 is $4,370, because the gambler has contributed 4,096 + 256 + 16 + 1 on his previous four turns, plus the $1 ante at the beginning of the game. 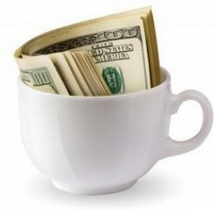 The Cup Value is the amount in the cup, which includes the ante plus all previous contributions. The Percent then shows the percent of the money in the cup that was contributed by the gambler holding the cup. because the sum of the first n powers of 2 is 2n – 1, and the initial ante contributes $4 more. 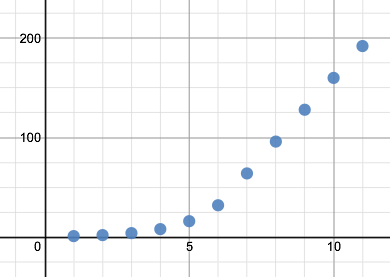 The Gambler Total formula for gamblers 2, 3, and 4 are similarly complex. (You can have fun figuring those out on your own.) But the purpose of determining those formulas was to investigate the percent of the Cup Value represented by the Gambler Total. And as you can see in the final column, the percent of the cup contributed by the gambler holding the cup tends toward 53.33%. So here’s the way to think about this. If you pass the cup and the next gambler wins, 53.33% of the money in the cup is his; 26.66% of the money in the cup was yours; and, the remaining 20.00% came from the other two gamblers. Which is to say, you’ve contributed 26.66/46.66 = 57.14% of the winner’s profit. A person can choose to leave the game at any time. Play continues with those remaining. Obviously, if only one gambler remains, he or she wins. Anyone can declare a “cap,” wherein the amount added to the cup continues at the current rate without increasing. For instance, if I added $32 to the cup on my turn and called a “cap,” then every person thereafter would simply need to add $32 on their turn, instead of doubling. After 10 consecutive batters without a hit, the pot would still grow to $160, even if a “cap” had been implemented at the $32 mark. We’ve also switched to the Fibonacci sequence, because that grows less quickly over time. The adjustment of using the Fibonacci sequence was a good one. The seventh donation to the cup was a reasonable $21, compared to a $64 contribution using the doubling scheme. In addition, instituting the “cap” permitted folks to continue playing long after they otherwise would have dropped out. At the end of the game, the gambler holding the cup does not win. Instead, the money in the cup goes to the next gambler. This only makes sense. You wouldn’t want a gambler winning if he was holding the cup when an out was recorded. Last Friday’s game ended with an astonishing 18 hits. There were no other streaks of 10+ batters without a hit, so none of the wins were as large as Dave’s first. On the other hand, I won more than I lost the rest of the game, and I was only down about $10 by game’s end. Still, I’m concerned that I’ll go broke by the end of the season. One solution, of course, would be to stop playing, but that would require willpower and a higher intellect. Instead, I’m thinking that perhaps I should try to earn some extra money. If you’d like to contribute to this worthy cause, I’m available for tutoring, stand-up comedy, and blog post writing. And if you have a need for analyzing the dumb games that boys play while watching a baseball game, well, there’s data to suggest that I’m pretty good at that, too. I’d like to thank Marjan Hong for her help in analyzing this game. I’d also like to thank Dave Barnes for teaching me this game, for wasting countless hours discussing the rules and amendments, and for taking my money. What do you do with an elephant who has three balls? Walk him, and pitch to the rhino. 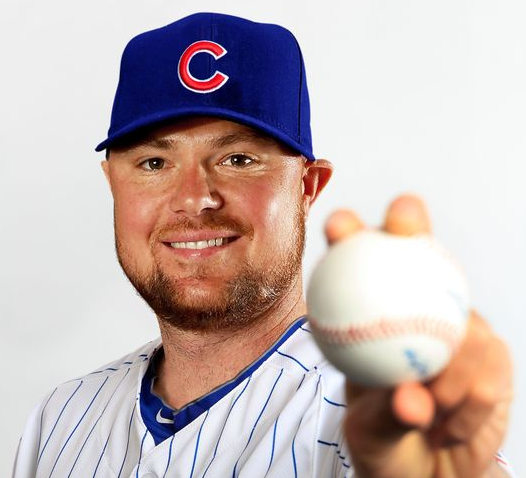 When it comes to pitching and hitting, Jon Lester is clearly better at one than the other. His ERA is an impressive 3.30, but his batting average is .000. That’s right, he’s never gotten a hit in 9 Major League seasons. With two more outs last night — the first, a deep fly ball that was caught by Denard Span, which you can watch on Yahoo sports; the latter, a strikeout — he “improved” to an incredible 0-for-59, a Major League record for futility with the longest hitless streak to start a career. Lester’s hitless streak is the longest ever by a pitcher. But pitchers aren’t paid to hit. The dubious distinction of the longest hitless streak for a position (non-pitching) player in the Major Leagues is held by Eugenio Vélez, who didn’t get a hit in 46 consecutive at-bats during the 2010-2011 seasons. A starting player averages 3.3 at‑bats per game, so Velez’s record is equivalent to 14 games without a hit. Assuming that a player is actually trying to hit the ball, a 14-game hitless streak is an impressive accomplishment; and probabilistically, it’s damn near impossible. Not withstanding the likelihood that very few sane general managers would let such a player continue to bat, it also defies the odds that the sun wouldn’t shine at least once on this slumping hitter’s behind. A while back, I created an Excel file (XLS) to analyze hit streaks. But you could also use it to analyze hitless streaks by changing a couple formulas. Using Eugenio Velez’s career batting average of .241 (which is deflated, because it includes his record-breaking streak), a hitless streak of 14 games didn’t occur even once in 500,000 games using the Excel sheet model. With 162 games per season, that’s more than 3,000 seasons. Only the very best pro baseball players have a career that spans 20 seasons; those players who hit only .241 have careers that are far shorter, so 46 consecutive at-bats without a hit is impressive, indeed. Who is the only Major League player to have 7 hits in one 9-inning game? Slowest pitch in baseball to reach the catcher? 30 mph, thrown at a 45° angle. Any slower at any other angle hits ground. Everyone knows that if a mathematician had to choose between solving a difficult story problem and catching a fly ball, he would surely solve the problem without thinking twice about whether the Infield Fly Rule was in effect. In the bottom of the ninth inning in a game with no score, the bases are loaded. The batter hits a ball that rolls into the right field corner. Before the ball is thrown home, all four base runners cross the plate. What is the final score of the game? If the visiting team scores 2 runs per inning, and the home team scores 3 runs per inning, what is the final score of a nine-inning game? A player has four at-bats in a game, and he got a hit in his last of these at-bats. His batting averages for the season (rounded to three decimal places, as usual) at three different times during the game do not have any digits in common. What was his batting average at the end of the game? What is the minimum number of games a Major League Baseball team must win to make the playoffs? The final score is 1-0. Once the first player touches the plate, the home team wins, and the game is officially over. The final score is 24-18. With a lead in the middle of the ninth inning, the home team does not bat in the bottom of the ninth. At the end of the game, his average was .409. He was 5 for 18 (.278) at the beginning of the game, 6 for 19 (.316) after one at-bat, and 9 for 22 (.409) after three more at-bats. A team only has to win 28 games. There are four teams in the American League West division, and the requirement in Major League Baseball is that every team must play either 18 or 19 games against the other teams in their division. That means that each of these four teams could play as few as 54 divisional games. If each of them loses the 108 non-divisional games that they play, then the four teams could conceivably finish with 28, 27, 27, and 26 wins, respectively. Under this scenario, the division winner is the team with just 28 victories.